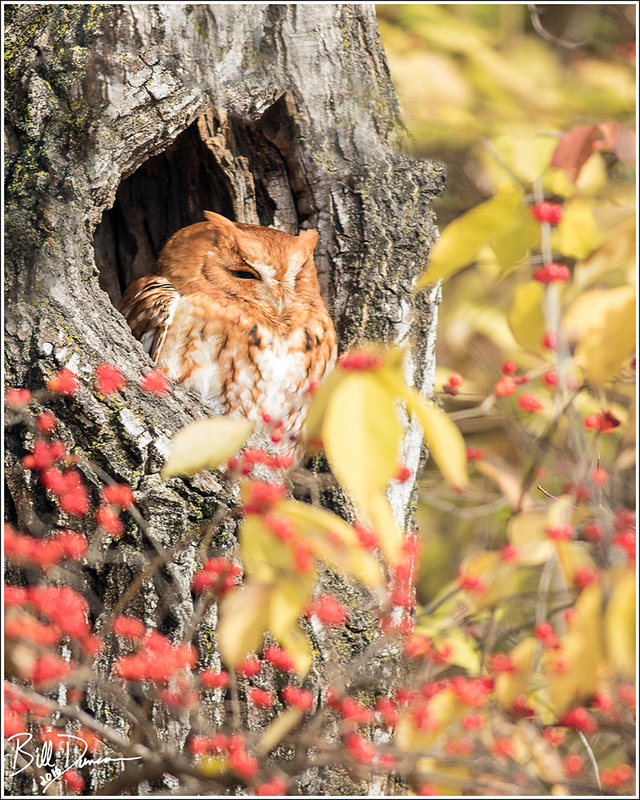 The 275th bird species I have photographed in Missouri and contiguous states turned out to be a special one. 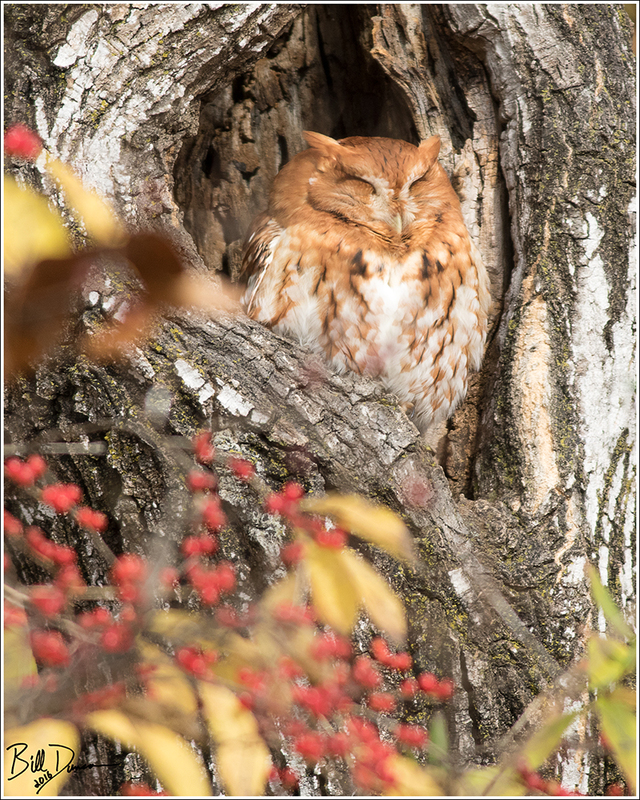 This Eastern Screech Owl is definitely the current most famous bird in the bi-state area. Many thanks to Miguel Acosta for the information. A long time coming. He just looks so cosy! Fantastic photo! Congrats on # 275 🙂 Glad I can be a part of your blog history. Beautiful Owl. I like how you photographed it through the berries but have the owl in sharp focus! !